Vintage Cleopatra Collar Necklace and Earrings of Bronze Crystal with Aurora Borealis Finish. 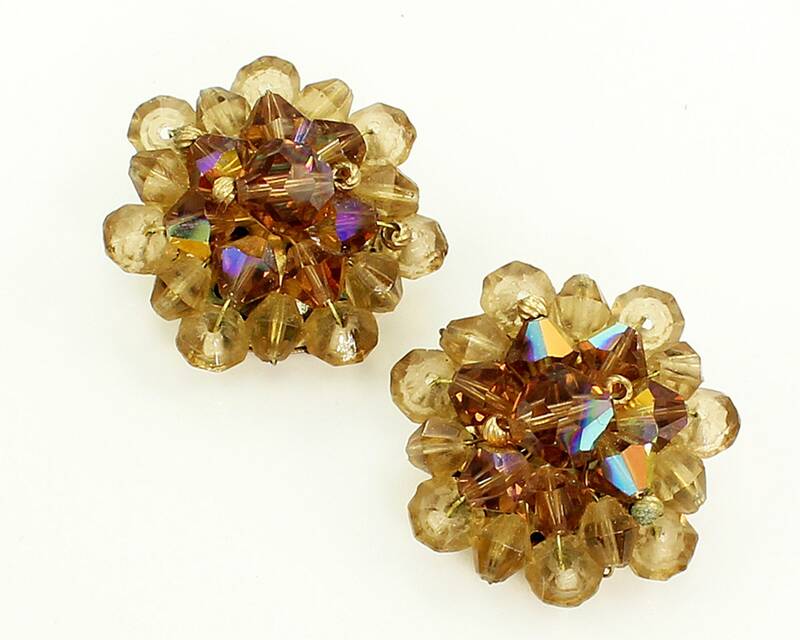 Made in the sixties, this set features faceted round and bicone crystal beads in topaz and root beer glass with AB coating. The single strand necklace features eleven graduated drops of beads on wire. CONDITION: In excellent vintage condition, with no damage noted. MEASUREMENTS: Necklace is 1 5/8" wide at the drop and adjustable from 13.5" to 15.75" long. 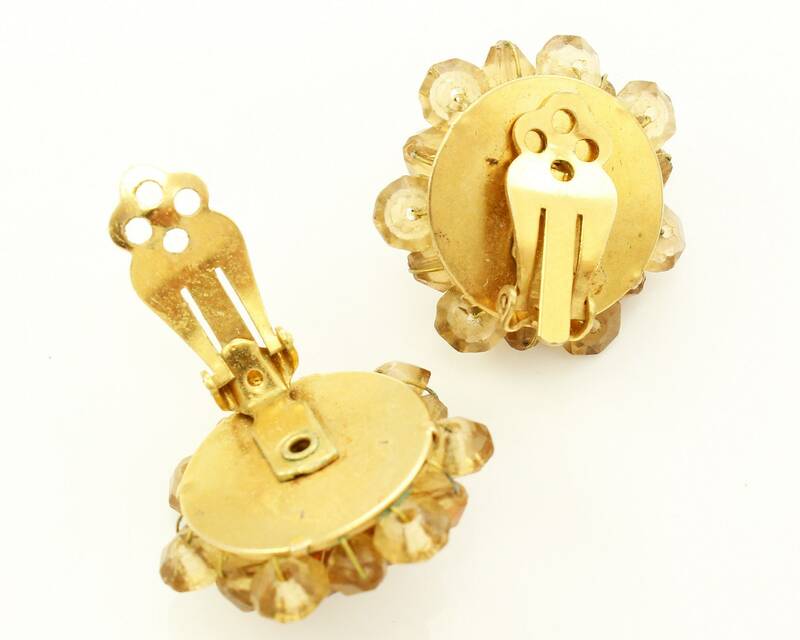 Clip on earrings measure 1 1/8" in diameter.